Hendrick's Congress for Curious People and Kriminal Kabarett are putting on a Carnival gala with a baroque masquerade ball. The party takes place among the lush velvety surrounds of Palau Dalmases, and throughout the evening, inspired by 18th-century masquerade balls, all in attendance can visit various rooms featuring mentalist Pablo Raijenstein, international cabaret star Lady Bon Bon, stellar soprano Michelle Francis Cook and acclaimed DJ Xavi Quero from 'Cabaret de Medianoche'. 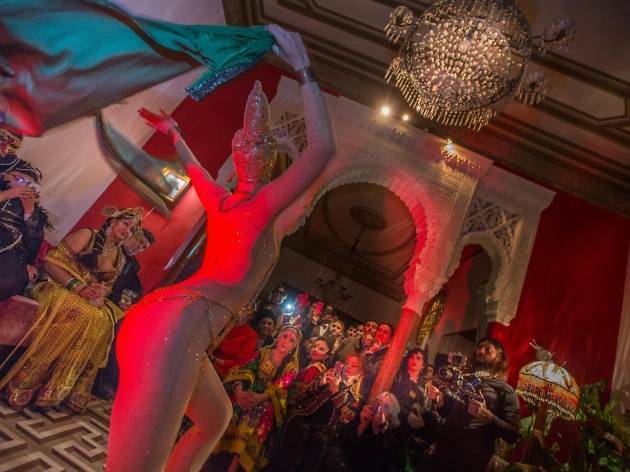 Get ready for a night that's about as close as you'll come to a scene out of 'Eyes Wide Shut'.